I was inducted as Pastor of St. Paul’s Church, Nobleton this afternoon, and I was, to say the least, overwhelmed: overwhelmed at the presence of God in the place we worshipped, and overwhelmed at the attendance of so many friends. 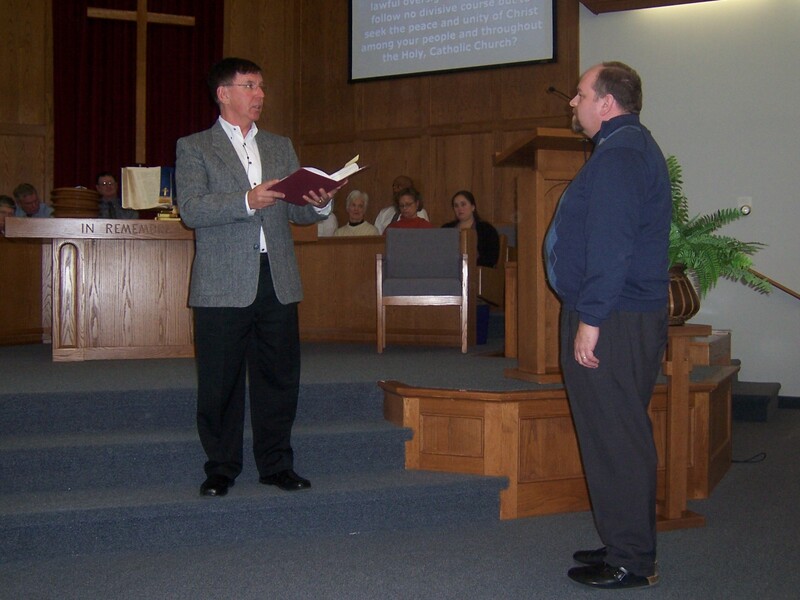 In The Presbyterian Church in Canada, we have a rite of induction that involves pastors and elders shaking hands with the inductee during the service. The line of people to shake my hand – and this is during the service! – stretched the entire width of the worship space. I was amazed at the number of people who drove to our small community on a Sunday afternoon to celebrate what God is doing among us. There were friends from Milton to Lindsay, Oshawa to Uxbridge to Pickering to Scarborough, as well as members of the Presbytery of Oak Ridges who might otherwise have enjoyed an afternoon with their families. Even some friends from the Canadian Bible Society and the band I play in came to celebrate. There were many members and friends of St. Paul’s who came to do “double duty” for the day, many of whom worked at setting up the refreshments and welcoming people. I am overwhelmed. And so grateful. I was quite emotional today, partly because of my joy at seeing so many friends, and partly because I have, I believe, taken this induction more seriously than any of my previous three. It’s not because I didn’t feel called to any of those ministries or that I was taking my vows less seriously. I think the time I have spent outside the local church, the healing that God has brought to my soul, and the reluctance, yet grave intentionality, with which I have returned to local church ministry has made me all the more serious about making this relationship work and work well. I have referred with our folk to the concept of calling a pastor as being more like a marriage than a job hire: we are agreeing to live with each other in sickness and in health, etc. And today, I pledged that with a renewed spirit. Marriages have struggles, as I’m sure this relationship will at times; but the commitment to make it work for the long haul has made me appreciate the role of the induction service all the more. This ministry has gotten off to a fantastic start. My prayer is that the Lord will help us be sustained and grow into new vistas of opportunity under the promised guidance of the Holy Spirit.